Big cities love to welcome large crowds of tourists and during the summer they tend to lose a bit of their sparkle as a fabulous vacation destination due to their lack of oceanfront accommodations and white sand beaches. So to make up for the inability to be a resort city with acres of lush green space, some famous cities have decided to create the perfect paradise. If you have a desire to visit an iconic city but hate to miss out on some beach time, never fear, here are a few amazing cities that have brought the beach to their already alluring metropolitan streets. Who wouldn't want to visit Paris. A location full of history, style, amazing food and loads of culture. But Paris is not known to be a beach lover's destination. 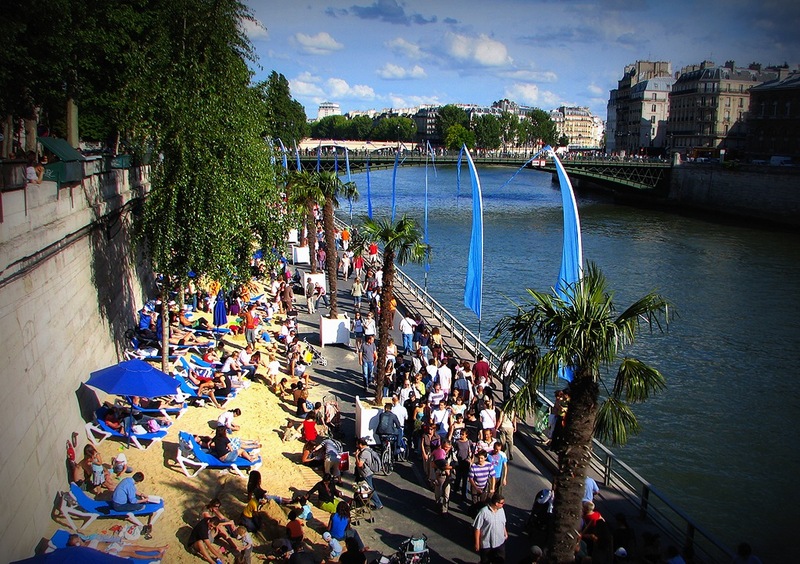 However there are three locations in this lovely city where you can lounge on the beach and look out over the waters of the Seine. Called the Paris-Plage, this network of sandy, and artificial, tropical beaches is set up every July and lasts until August. Complete with lounge chairs and palm trees, these three urban oases are quite popular with residents as well as tourists. Stay at one of our Best Hotels in Paris and experience big city fun as well as lazy, sand filled days. Our next beautiful city is Istanbul, Turkey. This location is filled with intrigue and wonder. 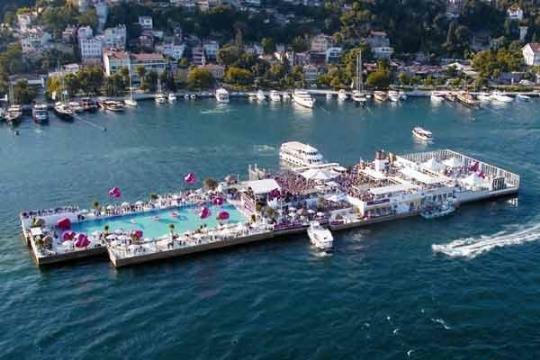 Expectations of lounging in the sun are not normally on the itinerary when visiting Istanbul, but savvy tourists can head to a place where they are able to pretend to be ocean side. Called Suada, this city chic swim club offers daytime poolside recreation and nighttime drinks, dinner and dancing. 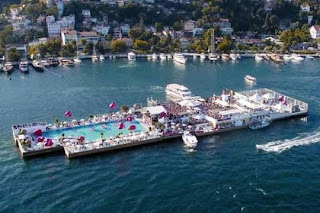 What is truly unique about Suada is that it is actually a floating club situated on the Bosphorus Strait. Boasting an Olympic sized pool and ultra trendy guests, this sun-filled locale is very impressive. WhatAHotel! offers some amazing hotels in Istanbul that will ensure your stay will be memorable. Whether you spend a majority of the time playing tourist and perusing the city streets or relaxing next to the clear waters at Suada's pool, you will find this Turkish city to be completely memorizing. New York City is always a favorite travel destination, but during the summer it can get very hot and humid. So tourists search for an oasis in the middle of miles of concrete. This amazing city, once again, does not disappoint. 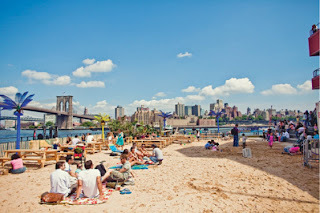 They bring in sand, picnic tables and even music after dark to create a beach style setting in the middle of one of the greatest cities on Earth. Opening for business on Memorial Day, Water Taxi Beach may be in a new location this year, but offers all of the great amenities of last year plus a few new things to create an even better environment. Head to Pier 17, next to South Street Seaport, and lounge in the sand while looking at the beautiful New York City skyline. Stay at any of the luxurious and always fabulous Best Hotels in New York and discover the ultimate in service and conveniences. What a great way to spend summer in the city. If you love to vacation at the beach, but you also have a hard time spending an entire trip just "relaxing", these three cities with their faux beaches might just be the perfect place for you. Spend one day experiencing culture, museums and national landmarks and the next day lounging in the sun with a drink in hand. The best of both worlds combined to create the ultimate summer vacation.